Vancouver is also ideally situated in a straight line between the Eastern USA and Asia. Also, Vancouver is the only major West Coast city close enough to Tokyo or Hong Kong, that a refuelling stop is not required! This fact, coupled with Vancouver's status as a major tourist destination and cruise ship port have made the Airport a busy place, especially during the summer months. Further expansion is planned, but you should plan on allowing yourself plenty of time when catching outgoing flights, especially on summer weekends. Unlike most airports, you do not have to empty your wallet in order to eat at the Vancouver International Airport. Food prices are the same as in any other location in the city. 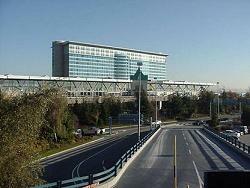 Vancouver Airport has also been rated the number one in the world for employee productivity and efficiency. Flying into and out of Vancouver Airport, B.C. 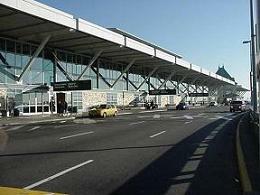 is a pleasure, since the Vancouver International Airport (YVR) is a great modern airport. YVR has won and received many notable awards. It won the Skytrax Best North American Airport award in 2007 and 2010. YVR also retains the the distinction of Best Canadian Airport in the regional results. YVR has been named "The Best Airport in North America."